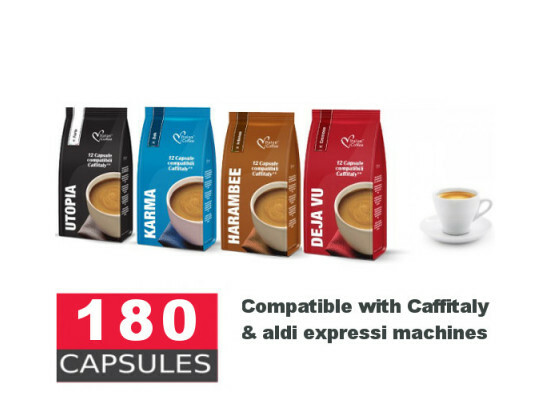 Value Pack containing 180 high quality Coffee Capsules compatible with Caffitaly system by MAP / Woolworths and K-fee Xpresse by Aldi. Pick your selection from the following blends 100% Organic Arabica, Cremoso, Intenso, Strong espresso. More Choice – More Freedom! We offer an exciting alternative - enjoyment guaranteed! 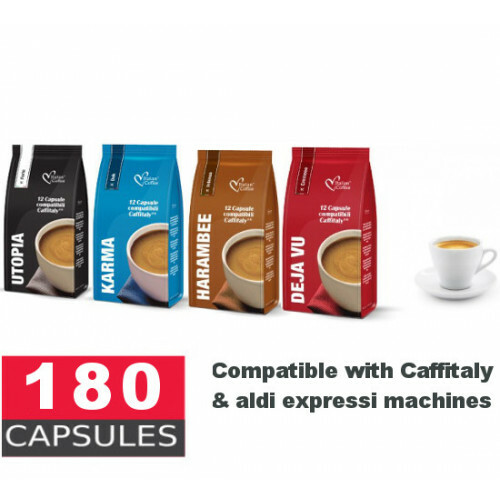 12 capsules per package 15 package per box. Please make your selection carefully as we are unable to accept this product for refund or exchange if you simply change your mind or if you made an incorrect purchase. Returns for this product will only be accepted where the goods are deemed faulty under the terms of our return policy. Starter Kit of 100 Cups, Sugar, Stir Sticks Great for espresso drinkers Ideal for an office environment with minimal supplies Kit of 100 cups 100 stirrers 100 sugar sachets .. Spend $80 or more and get your Free Cap today! Use promocode FREEBIES 100% Cotton Cap Brown and dark Blue casual Style. ..
To maintain the optimum temperature and quality of your espresso, descale your machine every 6-12 months. Rio by Axor is a descaling agent that removes scale residues from coffee machines boilers and heat exchangers. it ..